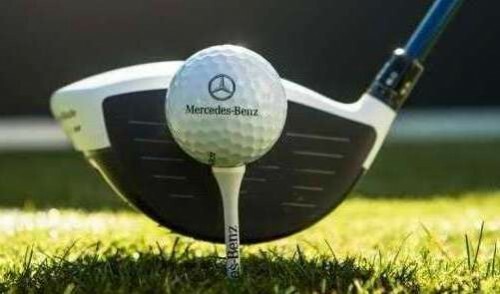 Bengaluru : City golfers FR Singhvi and Rajiv Unnikrishnan on Thursday qualified for the Mercedes Trophy National Final on Day 2 of the Bengaluru Leg. Singhvi and Unnikrishnan qualified after carding a net score of 69.2 and 72 respectively. The ongoing tourney has so far seen six qualifiers who will be competing in the finals to be played at the Oxford Golf Resort in Pune between March 27 and 29. Commenting after the win, Singhvi said: "It was a very well organized tournament and I am looking forward to playing in the finals." Second winner Unnikrishnan said: "I am proud of my achievement and will certainly participate in the finals." The day also saw participation from Indian cricketers Ventakesh Prasad and Sunil Joshi who tested their golf skills at the Prestige Golf Shire. The best Gross Winner of the day was Arjun Malik with an excellent round of 75 and there were a host of other prizes on offer to be won on the day. A total of 110 golfers participated on the second day in Bengaluru and another 108 golfers will compete for the two remaining qualification spots on the last day. The 19th edition of the Mercedes Trophy will travel to eight more cities after Bengaluru including Mumbai, Ahmedabad, Kolkata, Hyderabad, Delhi, Chandigarh, Jaipur and Lucknow before returning to Pune for the final.